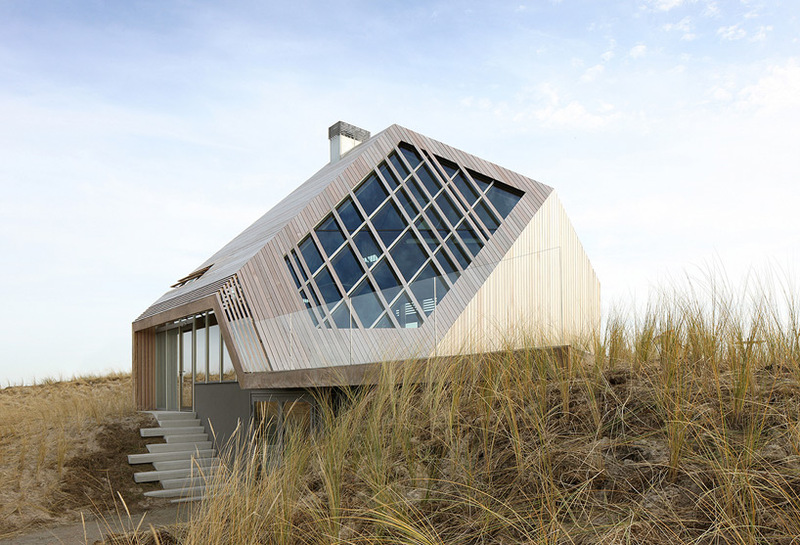 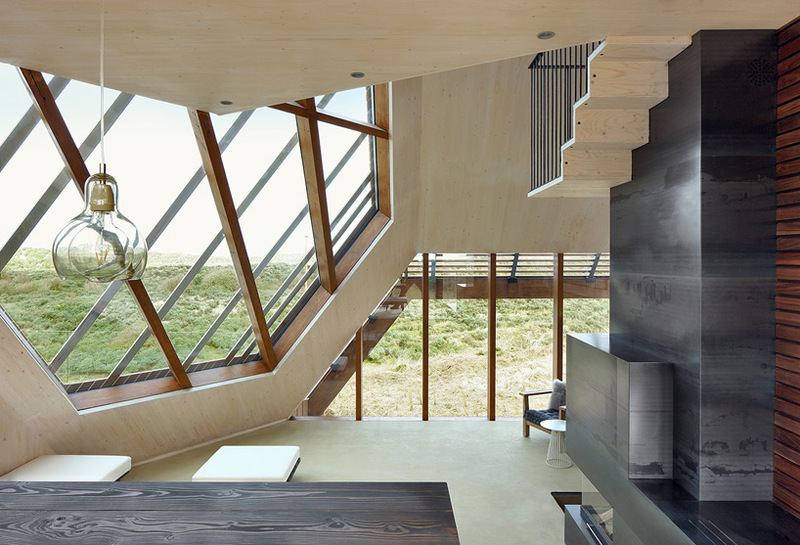 nestled on a landscape of sandy dunes on a northern dutch island, marc koehler architects has created the ‘dune house’ which draws its influence directly from its topographic setting. 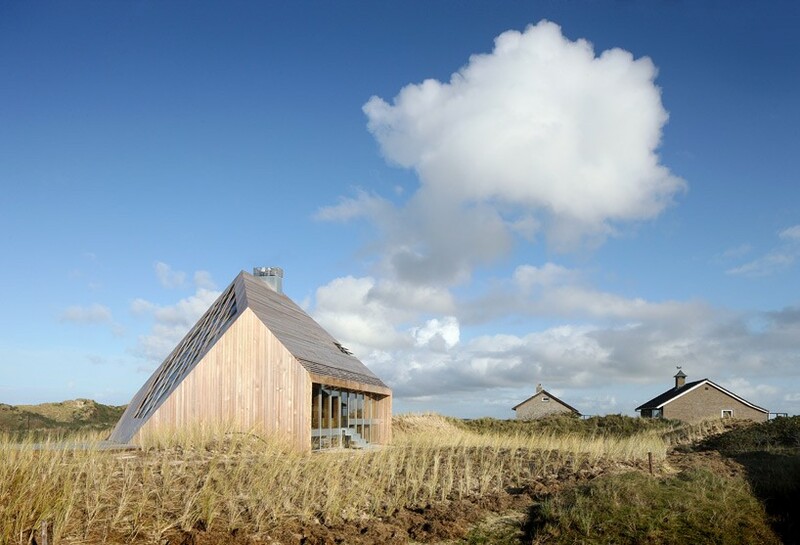 dictated by the movement and views from walking around the environment, the form of the structure and the internal arrangement has been derived from this experience. 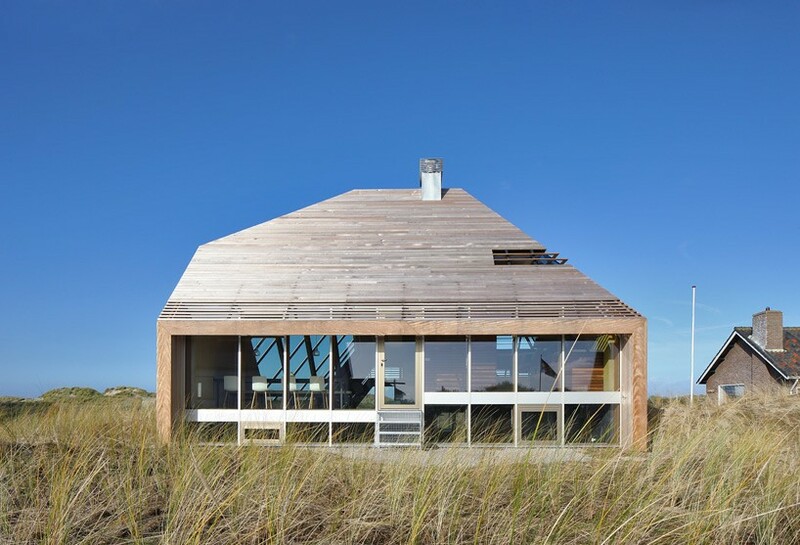 the minimalistic and geometric nature of the timber-cladded exterior offers a multiplicity of sights from intimate and submerged views of the sand dunes to out and over the sea. 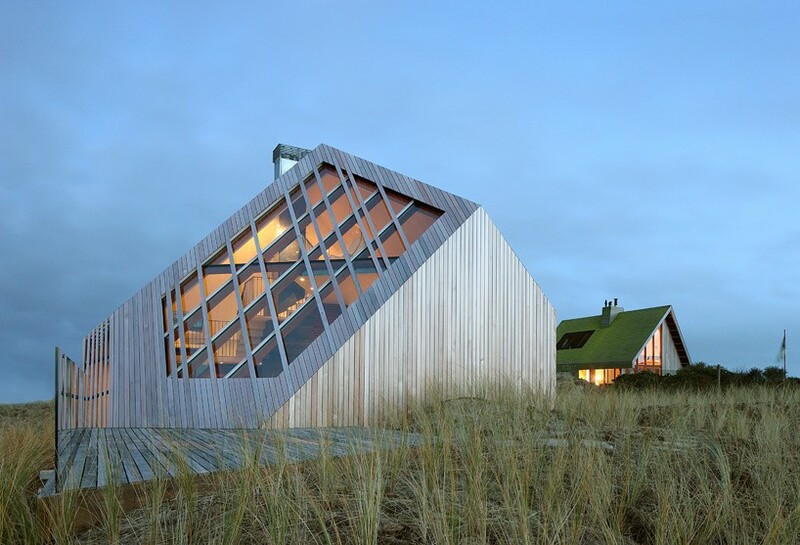 using innovative ecological materials, eco-friendly installations and coupled with its unique wooden cross-laminated structure and bio-fuel central heating system, the residence is highly energy efficient with a low carbon footprint. 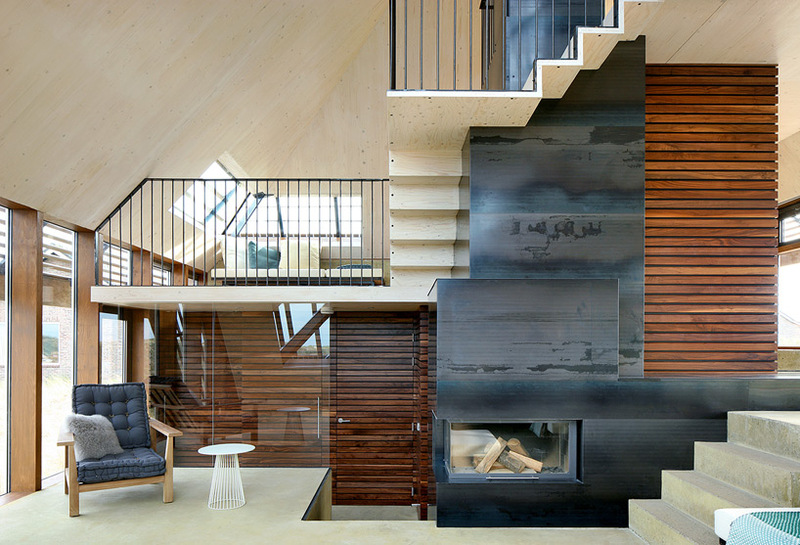 internally, the spatial strategy wraps around a distinctive, winding staircase placed at the home’s core and is integrated with each room- serving as a fireplace, storage, and display as it transitions up through the house. 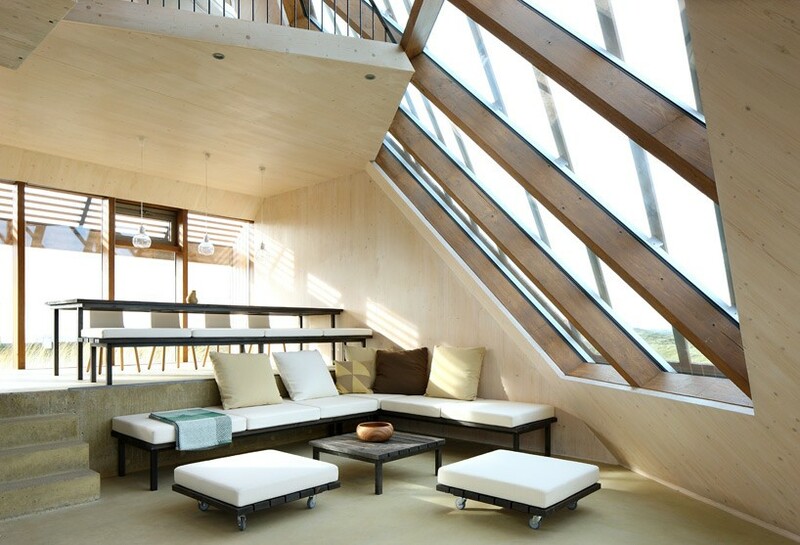 each area is simultaneously connected to each other through various split-levels and the bedrooms are located underground, and the communal, relaxing areas placed on the upper floors. 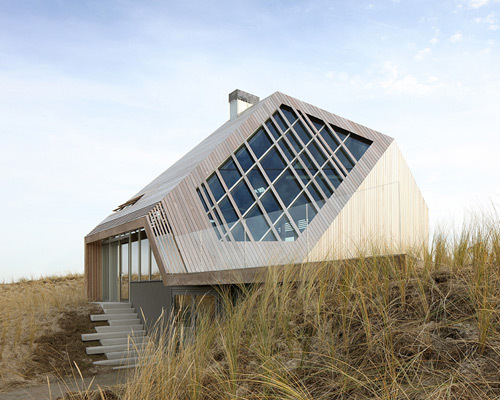 a careful relationship has been established between inside and outside, illustrated in the comfortable niches merged with the various sloped skylights. 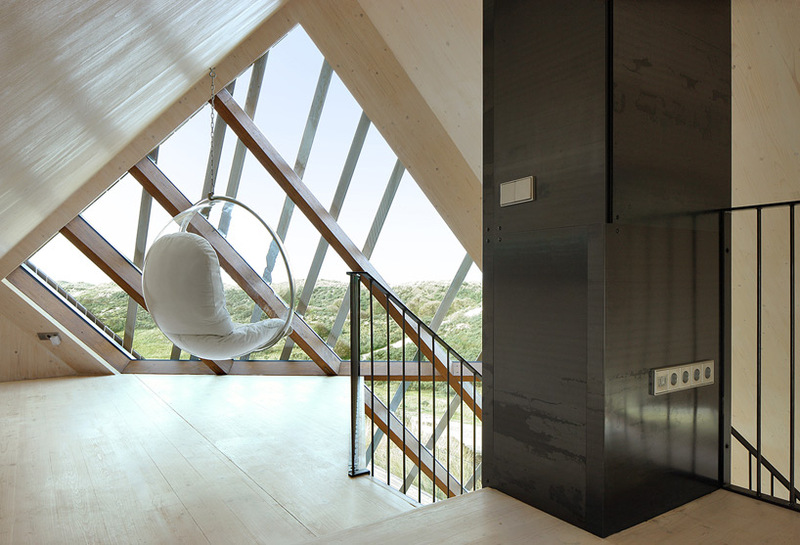 highlighted by a rich palette of light and dark materials, the residence blends its scenic environment with a minimal aesthetic- making it a restful and contemporary living space.